Offside Kitchen awnings are a great addition to the offside of your camper. It offers great protection from the weather and shades the offside of your camper on those hot days. Kitchen awnings are available in plain white or in a stripe vinyl to match your annexe. 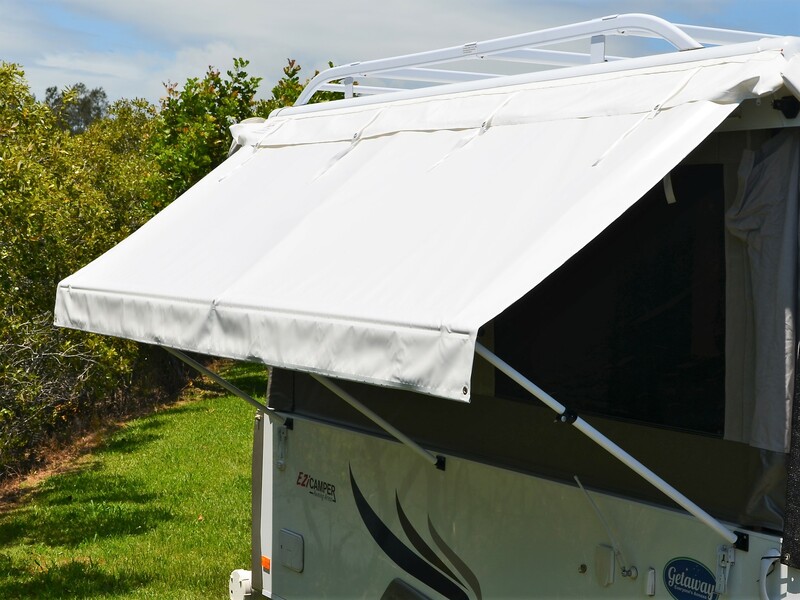 You will receive 6 adjustable arms with your awning to put it up. The awning is in a vinyl bag that stays on the side of your camper by sliding in to a sailtrack. When ordering make sure you list your camper Year, Make and Model so we can ensure you receive the correct size awning.